Set of 5 Cold Gel Packs - Reusable High Rated! $5.72 SHIPPED! Half Price with New Code! 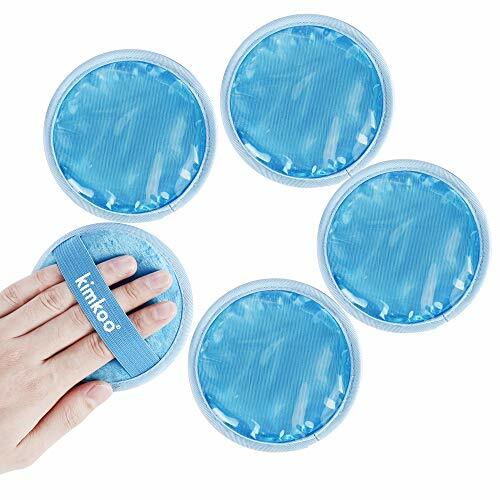 Set of 5 Cold Gel Packs – Reusable High Rated! $5.72 SHIPPED! Half Price with New Code! SMALL- 4-inch round gel pack with a clothing back and a special elastic strap for easy of use. REUSABLE: Place in a refrigerator or freezer, or place in a microwave oven for preheating and reuse. NATURAL RELIEF- Relief for tired, puffy eyes, sinus headaches, fever, toothache, bites, bumps or bruises. Convenient Multi-purpose - suitable for any part of the body, small size, is a must-have kit for the family. Lifetime Warranty - For any reason you don't absolutely love them, we will refund 100% of your money.